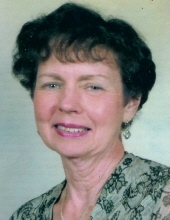 Dorothy Ann Poole (nee Boston), age 79, a 47 year resident of Naperville, IL, formerly of Farmersville, IL, Springfield, IL and Bellevue, WA, passed away on Wednesday, March 27, 2019 at The Springs at Monarch Landing in Naperville. She was born October 28, 1939 in Litchfield, IL. Dorothy is survived by Allan L. Poole, her loving husband of 57 years. They were married on August 11, 1962 in Springfield, IL when both were employed by the Illinois Department of Public Health, Division of Sanitary Engineering. Also surviving are a son, Steven Poole of Downers Grove, IL, a daughter, Kristine Vallrugo, MD and son-in-law, Kenneth Vallrugo of Sarasota, FL, four grandchildren, Stephanie, Dane and Ashley Vallrugo of Sarasota and Colson Poole of Westmont, IL. Also, Rachelle Poole (nee Reunger), mother of Colson. Dorothy was preceded in death by her mother, Anna Doody (nee Boston), her father, Harry Boston and stepfather, Ambrose Doody. All are buried at St. Martin's Cemetery in Farmersville. Dorothy was a 1957 graduate of Farmersville High School and Browns Business College in Springfield. She was an accomplished pianist, a masterful tailor, and a gourmet cook. Dorothy and Allan have been world travelers for 35 years, enjoying ocean and river cruising. Visitation Friday, April 5, 2019, 4:00-8:00 PM at Friedrich-Jones Funeral Home & Cremation Services, 44 S. Mill St, Naperville, IL. A wake service will be held Friday, 7:00 PM in the funeral home. A Mass of Christian Burial will be celebrated Saturday, April 6, 1:00 PM at Saint Mary's Catholic Church, 310 Nobbe St., Farmersville, IL 62533, (217) 227-3349. Interment: St. Martin's Cemetery in Farmersville, IL. A reception will follow at the Knights of Columbus Hall, 04 S East St., Farmersville, IL 62533, (217) 227-4421. To send flowers or a remembrance gift to the family of Dorothy Ann Poole, please visit our Tribute Store. "Email Address" would like to share the life celebration of Dorothy Ann Poole. Click on the "link" to go to share a favorite memory or leave a condolence message for the family.